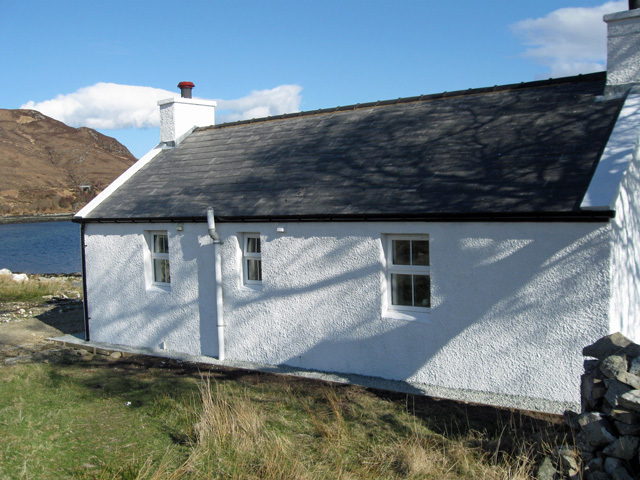 Moll Cottage is situated in a quiet coastal location just a few miles from the village of Sconser on Skye's east coast, and enjoys uninterrupted views across to Scalpay and Raasay. This traditional gamekeeper's cottage, which has stood for over 100 years, has been newly renovated and throughout is tastefully furnished and equipped to a high standard. 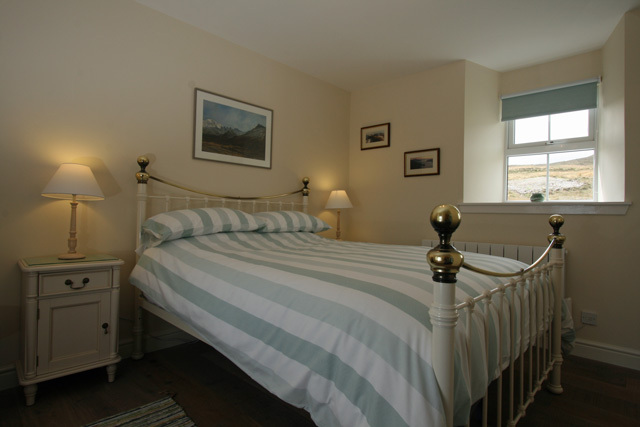 The accomodation is all located on the one level and consists of an open plan sitting room with kitchen, a double bedroom, and a shower room which also houses the laundry facilities. 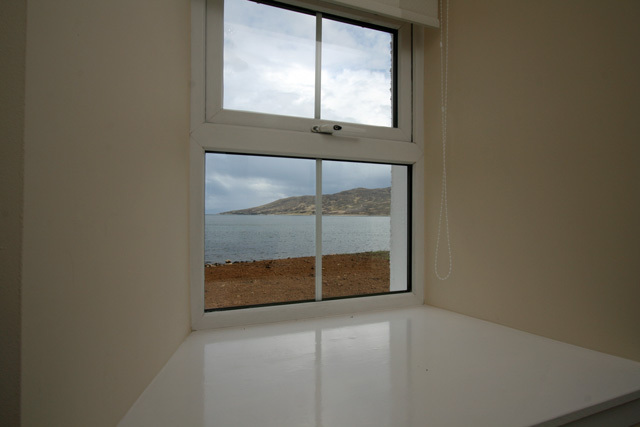 Ideal for a couple or equally a single person looking to enjoy this part of the island, the location is perfect for the walker or climber, with direct access from the doorstep into the surrounding hills. From Sconser a short ferry trip takes you to the island of Raasay, one of Scotland’s most beautiful and unspoilt islands. 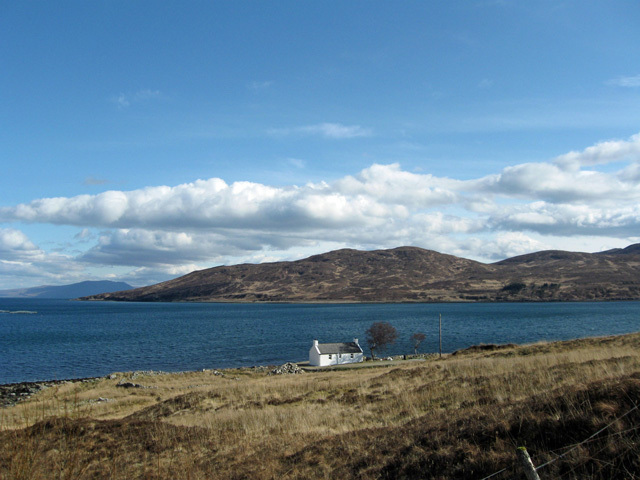 An ideal location for a day out, Raasay is popular for its cultural heritage, walks and wildlife. Skye itself has numerous places of interest for the visitor: ancient castles, Talisker distillery, unspoilt beaches, picturesque villages, and of course the magnificent Black and Red Cuillin mountains. 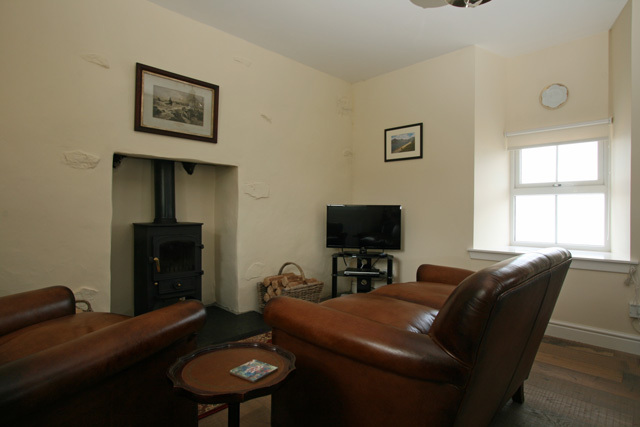 Open plan sitting room/kichen with sea views, leather sofa and armchair, dining table for two, wood burner, LED TV with Freesat and a DVD player, CD, radio & iPod dock. 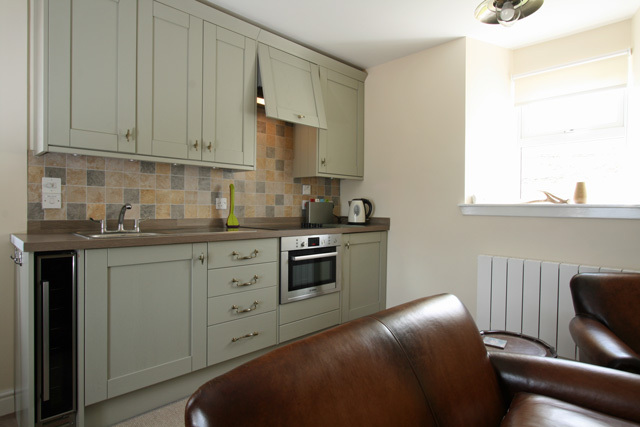 Kitchen with electric cooker/microwave, hob, fridge with freezer box, wine cooler, and all the usual kitchen equipment. Bedroom with king size bed and sea views. 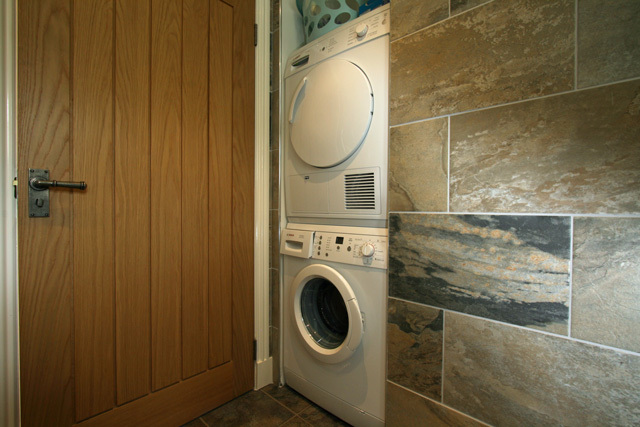 Shower room, shower, wc, whb, washing machine, tumble dryer. Electricity and electric heating throughout. Fuel for the wood burner. Phone for local and emergency calls. A Good Housekeeping Deposit of £150.00 is required at this property. 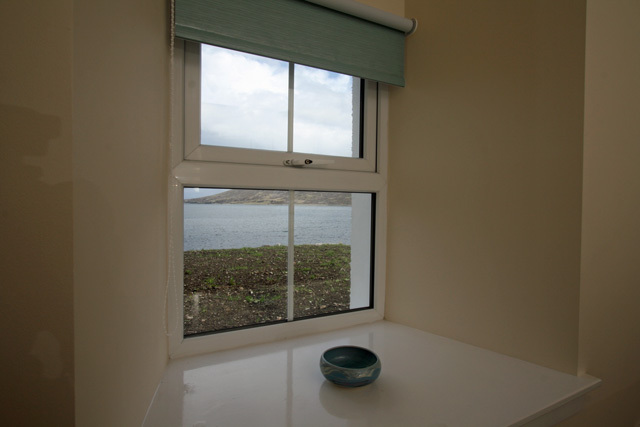 Coastal location with unspoilt views towards Scalpay and Raasay. Perfect retreat for a honeymoon location. Hill walking available from the property. We had an amazing week at Moll Cottage, we saw the first seal within 30 minutes of our arrival. The cottage is very well equipped with everything you need. The road down to the cottage is pretty bumpy with potholes but take it slowly and it is fine. If you want a secluded getaway this is the perfect place. 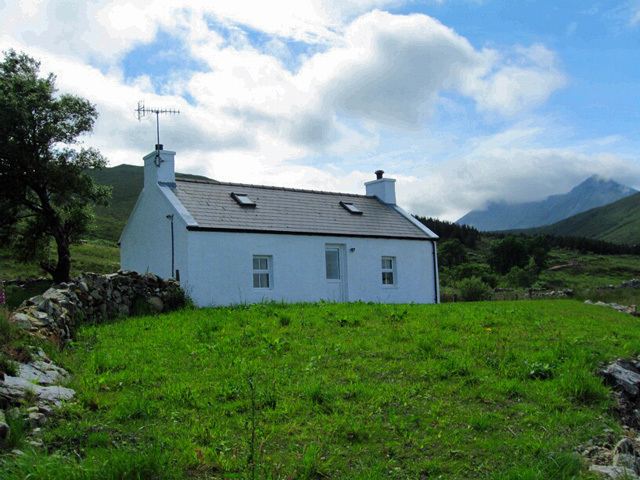 The cottage is situated in a spectacular location at the foot of the mountains, right at the edge of the sea. There are only three houses along a road, that follows the coastline for several miles (the road itself is not for the faint hearted, as it has quite a few deep potholes; but it is manageable with an ordinary car). The house itself is a very nicely renovated traditional cottage. It is well equipped and it is the perfect hideaway for a romantic week for two. It is well away from the hubbub of Skye and as long as the midges allow, sitting on the porch and enjoying the evening with a glass of wine is hard to beat. I can definitely recommend staying in Moll Cottage. Wow...thats the word that springs to mind when I remember our time at Moll cottage. Our first visit to Skye and what a wonderful place we chose to stay stunning location amazing views and a lovely cottage equipped with everything you need...lovely comfy bed well equipped kitchenette (combi oven / microwave very easy to use toaster kettle etc) washing machine dryer great shower, towels provided (although just one little niggle the bath towels are on the small side perhaps bath sheets would be better) and a super log burner. Outside is wonderful too total peace and quiet stunning views private beach literally on your doorstep and an amazing variety of sea birds and animals. Regularly visited by oyster catchers, sea ducks, hooded crows the list is endless but the best visitors were 3 seals.. two playing in the loch outside and one basking on a large rock. We loved our stay at Moll and we were sad to leave we will definitely visit again. A delightful, comfortable little cottage. 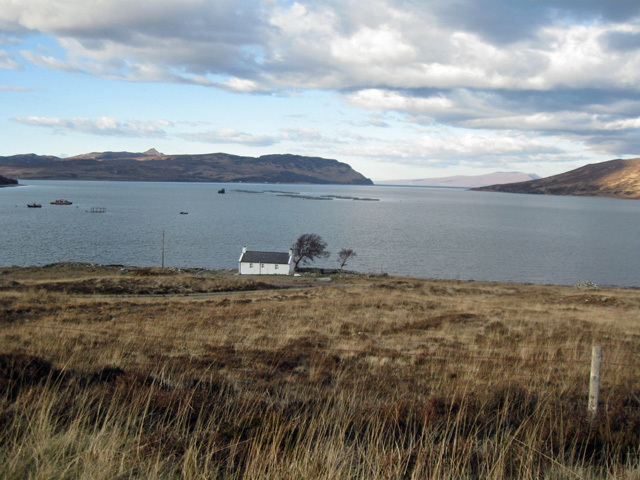 In a wonderful isolated location, yet within easy reach of all parts of Skye. Lack of food prep surface in the kitchen area is awkward if you want to eat in, and we sometimes found the random noise of the water pump irritating. Most days the distant hum of salmon farm machinery could be heard, but generally it was a blissful place to be. We enjoyed watching the birds, particularly the oystercatchers. 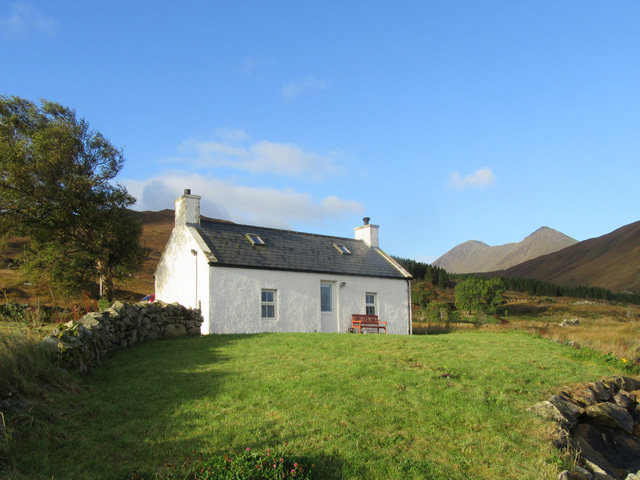 If returning to Skye, we would probably choose to stay at Moll Cottage again. We were delighted to return to this delightful cottage again. This secluded cottage has everything to offer those wishing to get away from it all. It is only 3 miles off the main Broadford/Portree road on a poorly maintained road but it still feels isolated. 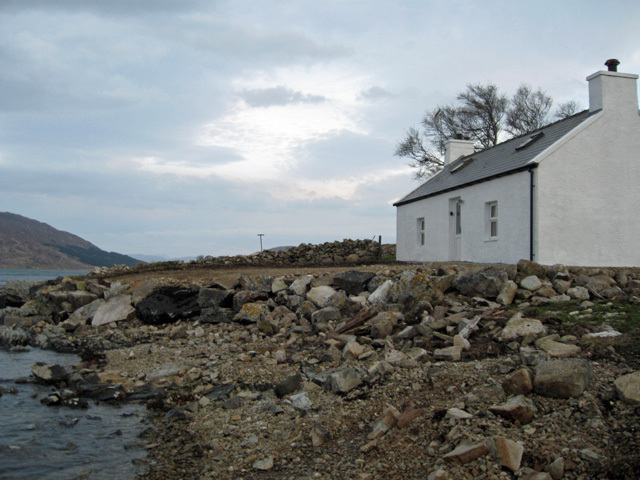 This was our second visit to this well equipped cottage by the shore. We noted the little 'extras', handmade soap, warm curtains and matching cushions/bedspread. Very tasteful and cosy, especially with the fire lit. We liked the new sofa and found it very comfortable. It is perfect base from which to explore the island. 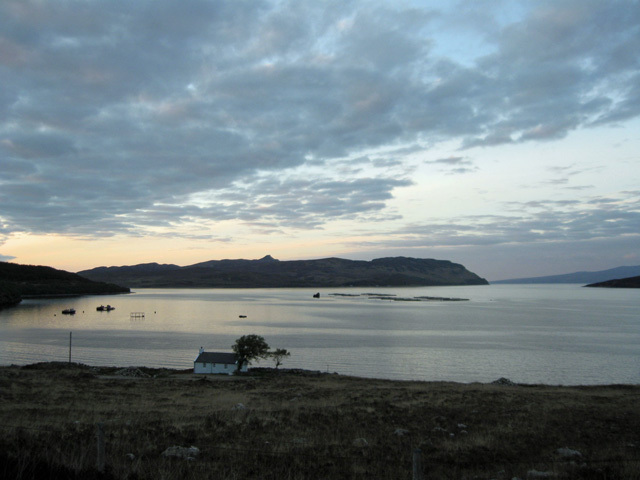 The highlight was hearing the stags calling at night across the water from the Island of Scalpay opposite. Will definitely return again, it's a hidden gem! What a fabulous cottage for the ultimate away from it all holiday. Stunning views with seals and an otter popping by most days!! Can highly recommend this cottage! We had a wonderful stay in this beautiful cottage. Very well equipped and views to Raasay as sun sets. We have spent the whole week exploring Skye and can't wait to come back! Gorgeous spot and Moll Cottage itself is just perfect. The moment we arrived we loved everything about Moll Cottage, fantastic scenery, great weather, and a cottage that is well restored and fully equipped for all of your needs. A highlight was watching an otter dive, catch and eat a fish just outside the cottage. We were very sad to leave but will return next year. We had an amazing week in Moll Cottage... it is in the most beautiful position, is well equipped and bigger than the photos make it look. A great spot for exploring Skye and a wonderful haven to come back to. Just beware the midges if you are taking a baby! Moll Cottage was easy to find, very warm and in an incredibly private and scenic location. Use northern access road: southern approach in bad repair (30 mins to drive 3 miles) so access from further junction takes half the time! Comfy bed but needs new pillows. Nice to have liners. Lots of local info and some DVD's. Basic condiments provided, but only a tiny prep area if cooking. One of the two ceiling lights, the cooker hood light and under unit lights not working: should have been spotted before our arrival. No spare bulbs provided - we did not want to wait around for manager to call during our stay. As others have noted - suite is really uncomfortable because, bizarrely, all its rear cushions have been removed. The property does need quite a thorough cleaning: lots of mould - on window frames and surrounds, floor and wall at end of lounge & inside the shower. Lots of greasy, dirty pots, cutlery, utensils/dirty tea towels and apron. Grubby everywhere: chair backs, bedhead and end, picture glass and even the bottom of the wardrobe mirrors and their runner recesses. Toilet brush & holder awful. No bathroom mirror or shaver point. Bins have stickers stating "collection contract expired" so were not emptied. Lovely location but quality of cleaning/lack of attention reduced rating. Dear Mr & Mrs Nicol, thank you for your feedback on your recent stay at Moll Cottage, we do as a small company appreciate all the reviews we receive. We are disappointed that certain aspects of your stay did not meet your expectations, we do provide in the event of any problems a contact number for the local caretaker and our office is open until 7pm during the week and until 6pm at the weekends, along with an out of hours answering service. We have checked with the caretaker and our own records and see that no problems were reported by you. Due to the location, the owner has provided a telephone in the cottage for emergency and local calls. The caretaker does live within a few miles and could easily have come and rectified any issues that you had. The first we became aware of any problems was when this review was received on the 28th October, which is late considering you stayed for the week 15th to the 22nd October. However in the circumstances we have, as a goodwill gesture made a partial refund to cover you for any inconvenience caused. Please note the sofa has now been replaced. 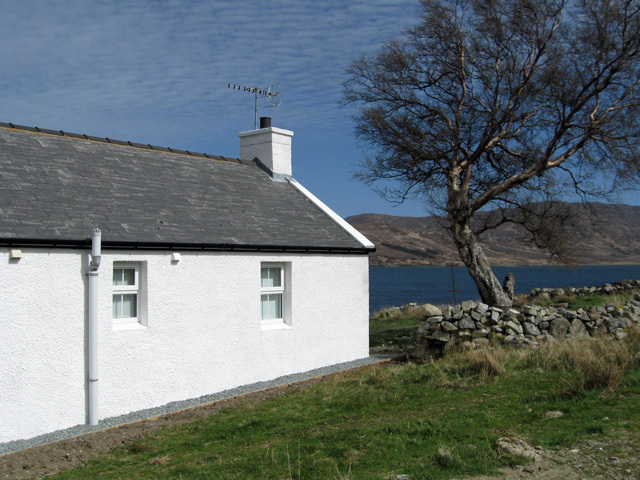 Great little cottage away from it all with good facilities and beautiful views to Raasay. Be aware that the single track road to the cottage is poorly maintained by the local council. 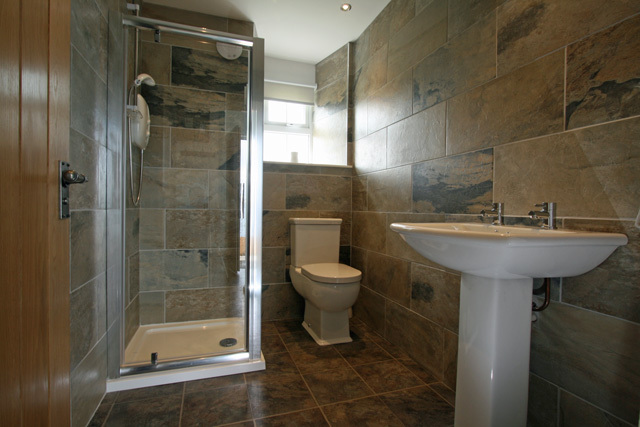 Perfect place for couples looking for relaxation and quiet alongside access to the many walks and sites across Skye. 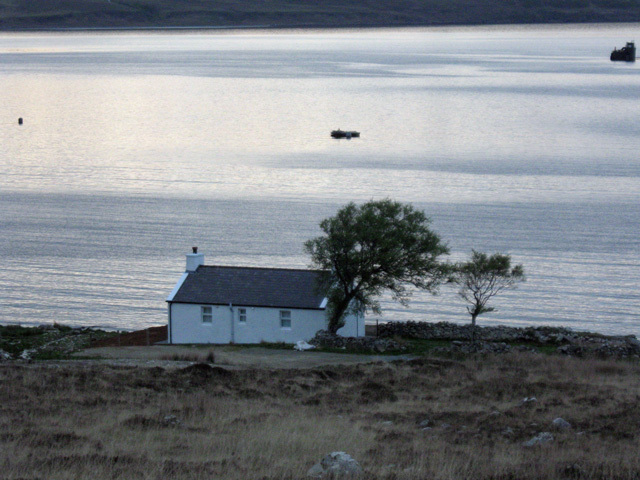 A lovely isolated cottage with stunning views. Isle of Skye was beautiful. We had a seal pass on the 1st night and a deer feeding at the back of the house one morning. 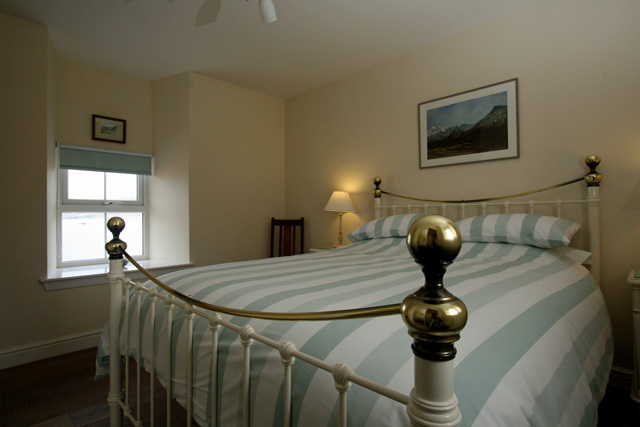 The cottage has everything you need for a lovely stay . Would say the only negatives were the boiler due to not having high pressure makes a noise. And a shame the settee was so uncomfortable change this and it would be perfect. Thank you for your feedback, please note the sofa has now been replaced. 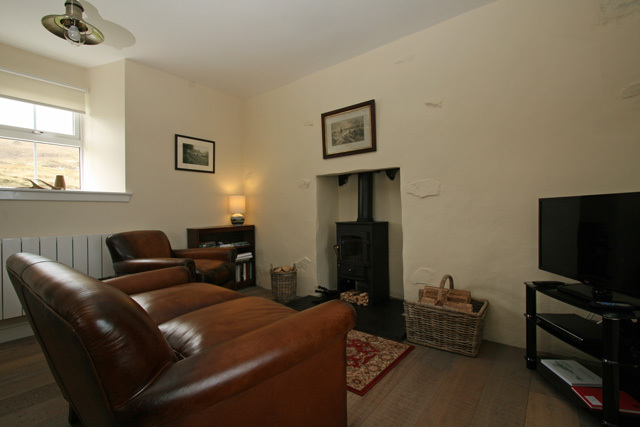 Lovely cosy little cottage, perfect for 2 people for a week. Great views. Settee not the comfiest, but appreciate it does need to be small! Bed very comfy. Our week on Skye was a bit stormy, but cottage stayed warm. A bit off the beaten track, which was what we wanted. Would definitely go again and wholeheartedly recommend. Thank you! This cottage is a pearl! We just spent a week there and only dreamed of staying here again. Its location is exceptional, in absolute calm and especially in an environment of any beauty. The house is very well equiped and especially decorated with taste and simplicity. Everything we expected. A house in keeping with the landscape. This house is absolutely perfect!! My husband and I stayed there for our honeymoon and never wanted to leave! 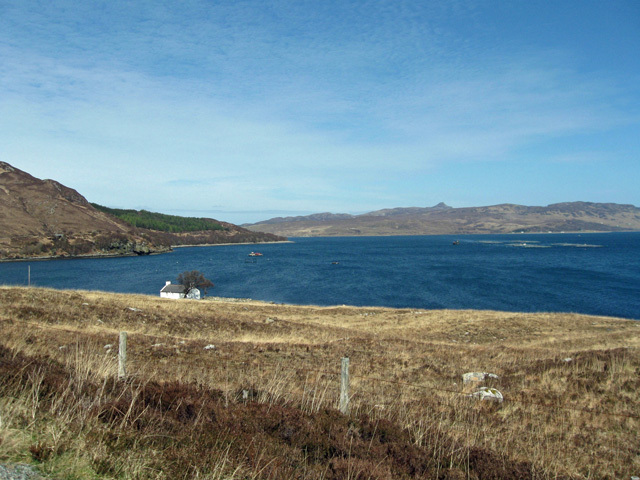 It is in a great location too, close to Broadford and Portree. We can't wait to visit Scotland again soon and would definitely stay here again!